This has nothing to do with bees, flowers, or gardening, but sometimes I just can’t help myself. This house was being picked up and moved to a location about a mile away. Since it’s on my morning walk and since I’m a curious type, I had to find out how they were going to do it. 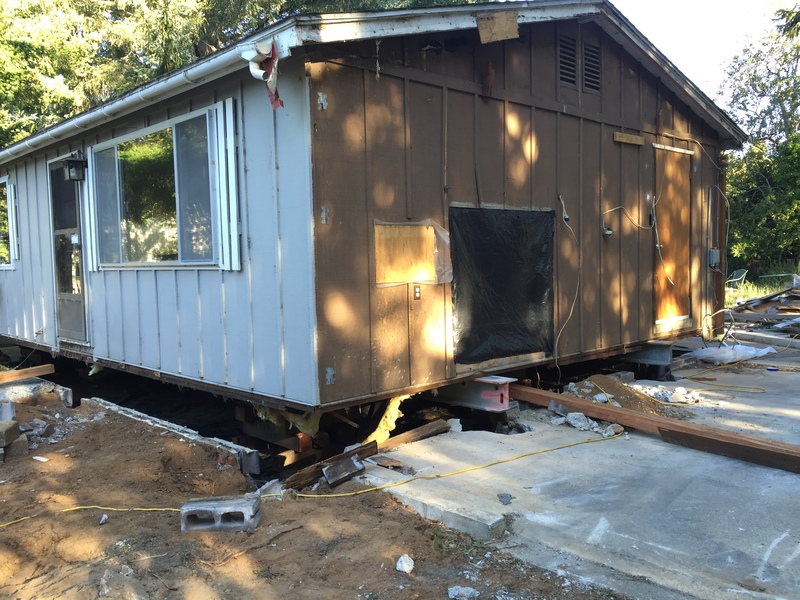 August 5…I-beams are in place, house has been jacked up away from foundation. How did they do it? A look underneath reveals it all. The I-beams are supported by cribs. The hydraulic jacks are centered within the cribs. The jacks are controlled so they can all lift at the same time (or individually). 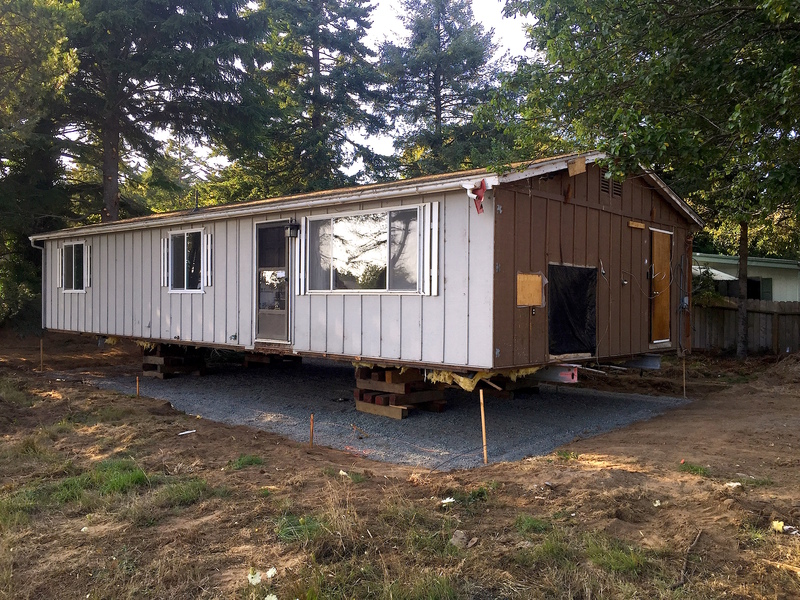 The house has been moved to new location…intact and ready for plumbing.